Yoga Nidra is the ultimate power nap of deep healing and profound restoration—the perfect antidote to stress, depression, and exhaustion. 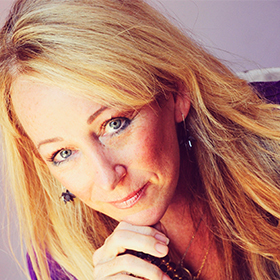 Advanced Yoga teacher, transformational life coach, and meditation master Stacy Kamala Waltman leads programs that are world-renowned, taking people on an inner journey of self-awakening. Come and experience Kamala’s transformational program; its effects remain long after the weekend is over! As you learn how to relax deeply in Yoga Nidra and how to train the mind, you will transform your relationship with your entire life. 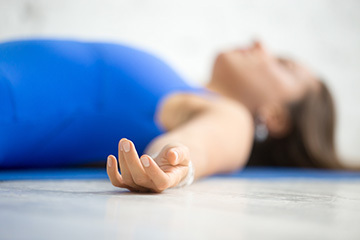 The best part of Yoga Nidra is that you don’t have to do anything other than lie down in an easy, comfortable relaxation pose, listen to Kamala’s magical voice, and mentally follow her instructions. As a program participant, you will be encouraged to journal your direct experiences as you develop the capacity to notice even more than you thought possible. The Yoga Nidra program with Kamala was wonderful. It was exactly the experience I needed at exactly the right time. I love how she tailored the program to the needs of the participants. She gave wonderful insight and feedback to each individual and provided a rich experience. Thank you! — Katie K.